An essential to your Polymer Clay accessories, add it to your collection today!! The handles are going to save me a few nicks on my fingers and it’s a good selection of blades too. Really useful pack, good price. Thank you for your feedback regarding item WUZX69. We're sorry to hear that you were disappointed with this particular item and that it was hard to secure the handle on to the blade of this product. If you are unhappy with this item, we would recommend returning the item back to us under our 30 day money back guarantee for either a refund or a credit. Unfortunately this item is no longer available so we would be unable to offer a replacement on this occasion. 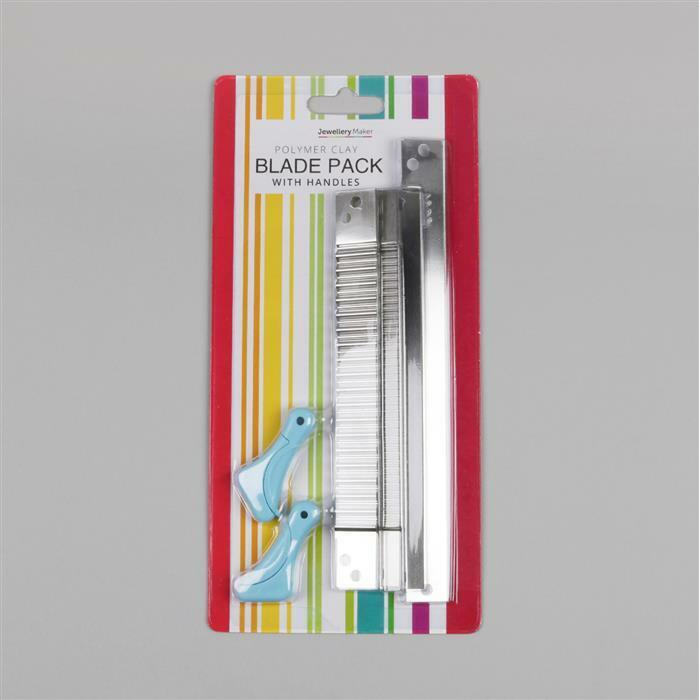 Great deal, can never have too many blades for claying. Love the handles.I find that that the stiff blade is to long to use with the handles which seem to bend when cutting through the clay.